Grand Blanc, Michigan has a lot of fun things to do. Whether you are here for the amusement parks at Playland Fun Center or the enjoying some wine at Fenton Winery and Brewery, a tooth pain is annoying. While it might be tempting to hold off on getting it treated until you get back to your home, it is vital that you seek treatment now. There are many dentists and dental specialists available in Grand Blanc to help you. You can turn to emergencydentistsusa.com to help you find a dentist during your dental emergency. We have put together a list of dentists and dental specialist in the local area to present to you. Simply go through the list provided, select the dentist you wish to see, and give them a call. If you are busy, or just want more help, call our toll-free dentist finder hotline now. Our team is ready to listen to your needs and help you determine a course of action. We will go through all of the available options and help you find the best dentist to meet your needs. All that is left is you select which you wish to see, and we can schedule your first appointment for you. Try to arrive at least 15 minutes before your appointment to give yourself time to fill out paperwork and ask questions. Bring your ID, copayment, and insurance card with you. 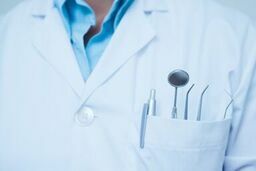 You may be concerned that your options are limited when it comes to dentists in Grand Blanc but that is not so. There are many dentists and dental specialists available. Before you try to get treatment at a specialist, see a general dentist. They can determine if you have a need to see a specialist and if so can refer you to one. Description: Drs. Burau Cosmetic & High Tech Family Dentistry has a mission to treat each patient the way they would want to be treated. Their goal is to make you feel comfortable and welcome. They offer many services such as sedation dentistry, cleanings, fillings, extractions, root canals, braces, implants, crowns, and more. The office works with most insurance plans and offers affordable payment options. Description: At Dentistry, ETC, provides dentistry with personalized care. They offer many different treatment options such as general cleanings and exams, cosmetic dentistry, invisalign, dental implants, and more. They also provide emergency care. The practice accepts most insurance plans and most major credit cards. They also have affordable payment plans. Description: Dental Care Team has one goal above all others and that is a healthy you. They accept all new patients and can offer same day appointments. There are a wide array of services offered such as bonding, crowns, fillings, extractions, cosmetic, orthodontics, and more. They accept most insurances and offer financing. Tooth pain can strike at any time and should be treated as quickly as possible to prevent further damage. If your pain lasts longer than an hour, seek emergency care. Any pain that is a result of an accident should be first seen at the ER to rule out any broken bones or a concussion. Before visiting a new dentist, take the time to verify their license and credentials. You can find this information by visiting the Michigan Dental Association website and searching the dentist’s name. If you don’t have access to the Internet, you may also check this information when you go to your first appointment.